Designing Instruction to Reach 21 st Century Learners Carol Cherson Not a Member please sign up: www.verizonfoundation.org/thinkfinity-registe r Member?? 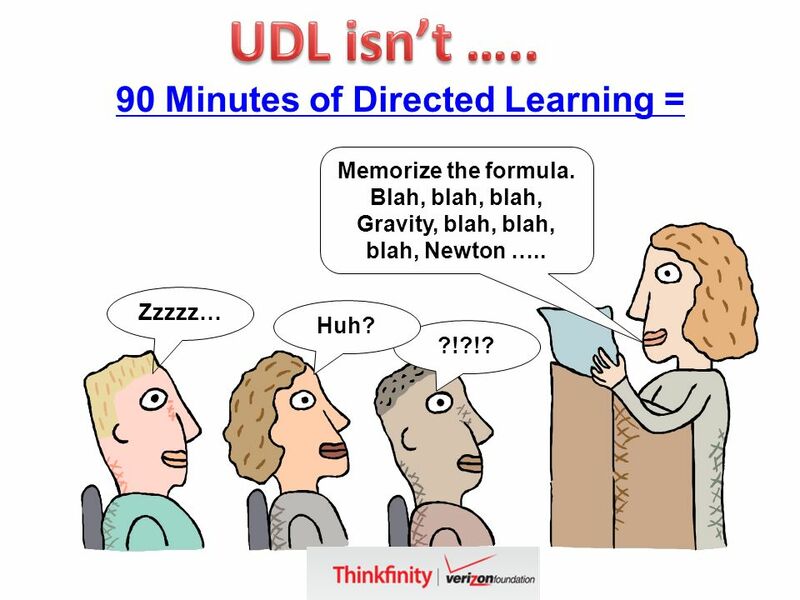 3 90 Minutes of Directed Learning = Zzzzz… ?!?!? Huh? Memorize the formula. 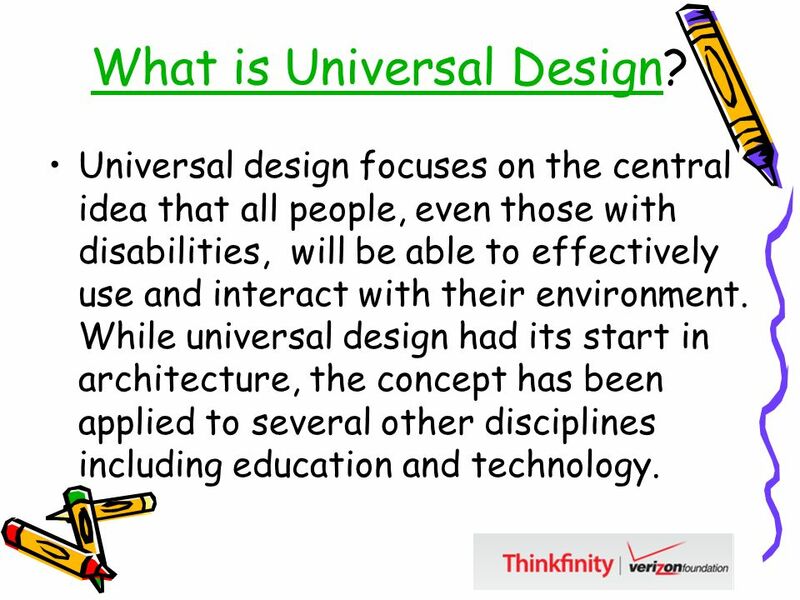 Blah, blah, blah, Gravity, blah, blah, blah, Newton …..
4 What is Universal DesignWhat is Universal Design? 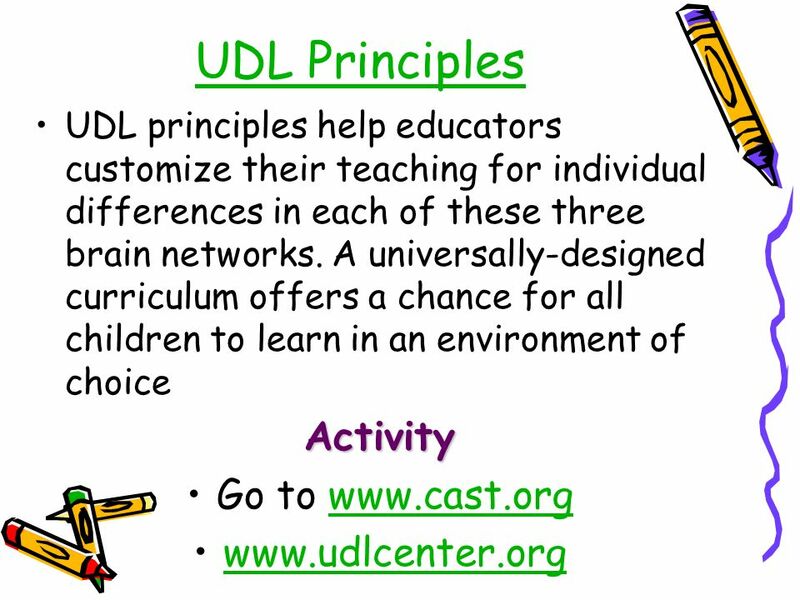 Universal design focuses on the central idea that all people, even those with disabilities, will be able to effectively use and interact with their environment. 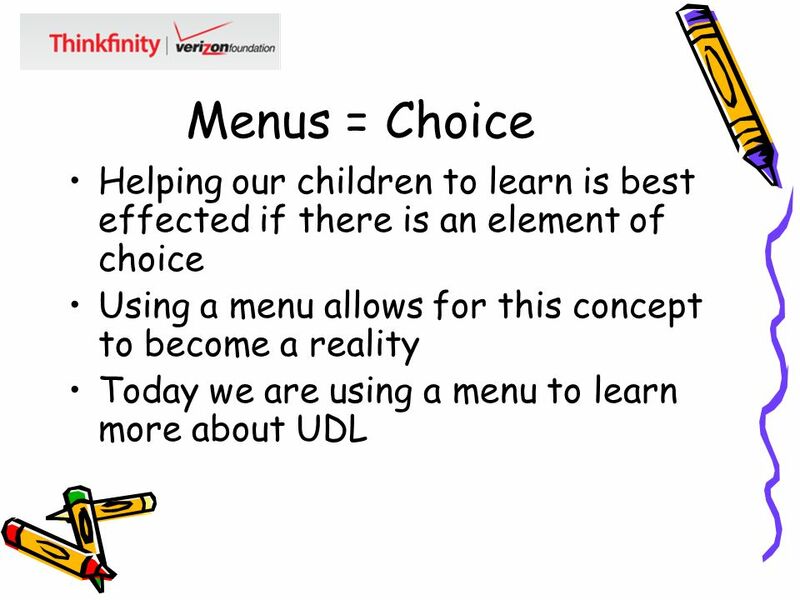 While universal design had its start in architecture, the concept has been applied to several other disciplines including education and technology. 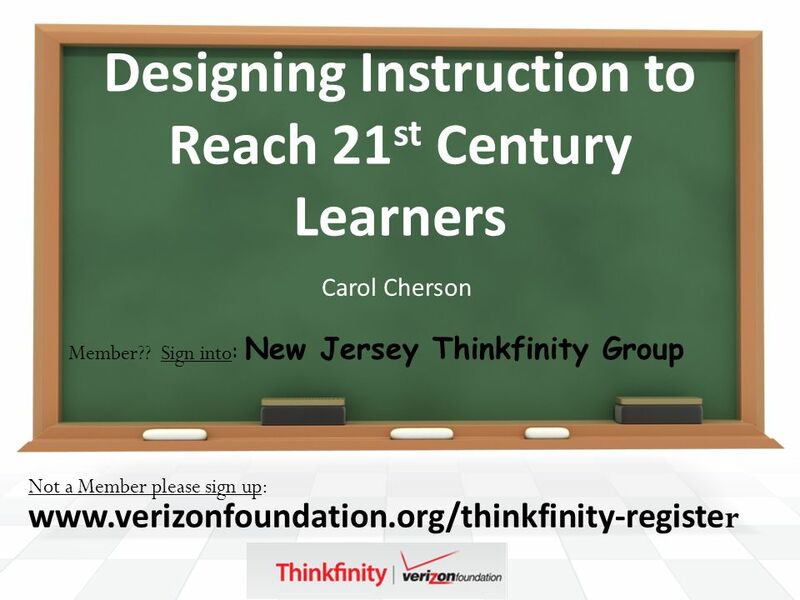 Download ppt "Designing Instruction to Reach 21 st Century Learners Carol Cherson Not a Member please sign up: www.verizonfoundation.org/thinkfinity-registe r Member??" 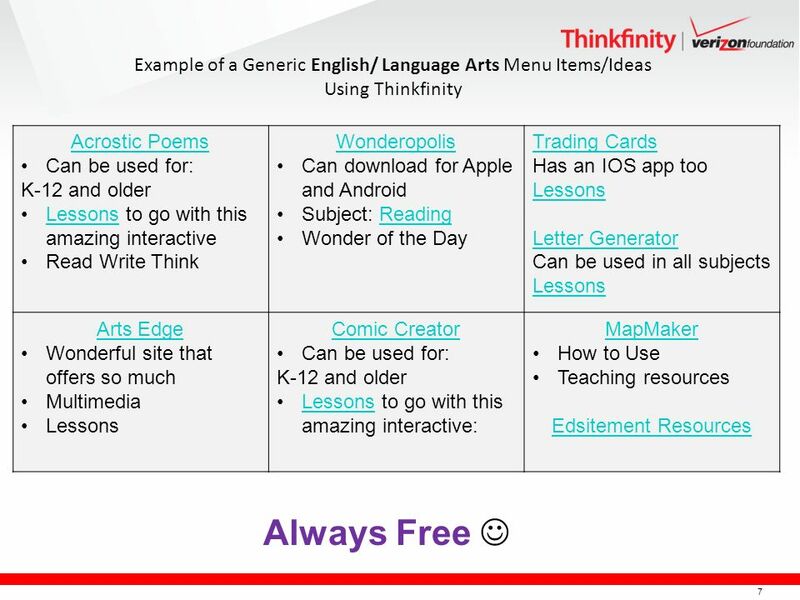 Maria Narciso Certified Thinkfinity Trainer NJTES0L Teachers…. Garden State Conference May 18, 2010. Copyright © 2011 Verizon Foundation. All Rights Reserved. This document may be reproduced and distributed solely for uses that are both (a) educational. 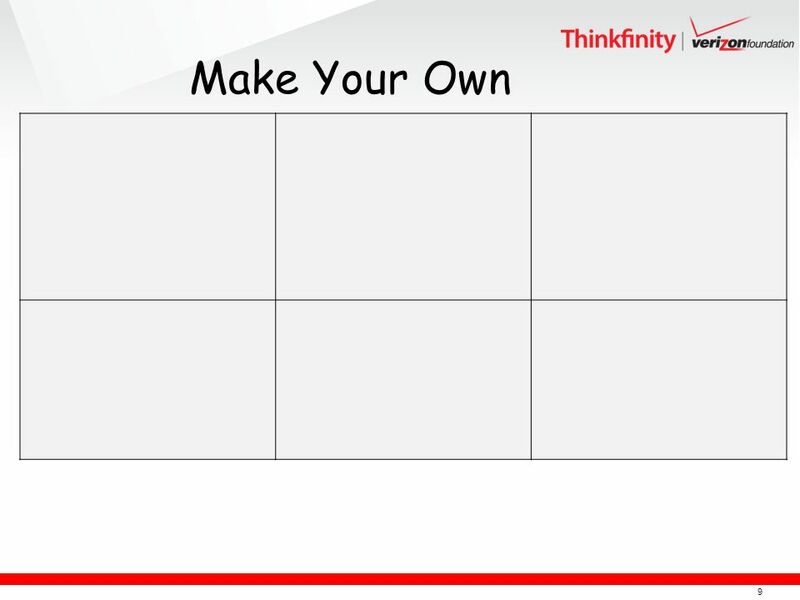 1 WELCOME TO VERIZON THINKFINITYS OVERVIEW SESSION Pam Korporaal Thinkfinity State Trainer. Charter School Presentation May 2008 From the Page to the Stage Getting the Work Done! SHOWCASING STUDENT ARTIFACTS AND PROFESSIONAL GROWTH IN THE 21 ST CENTURY E-Portfolio. Have you ever…. planned a great lesson and was so excited to teach it but….. Copyright © 2008 Verizon Foundation. All Rights Reserved. This document may be reproduced and distributed solely for uses that are both (a) educational. Login to the computer Open the Internet & go to Click on ‘current’ and choose ‘March 12 th PD Presentation’ WELCOME. Provides educational songs for teaching all subjects. Login to the computer Open the Internet & go to Choose ‘Student Academic & Teacher Planning Websites Presentation’ WELCOME. Jackson County Comprehensive High School Verdi Huffman Instructional Technology Specialist Copyright © 2009 Verizon Foundation. All Rights Reserved. This. 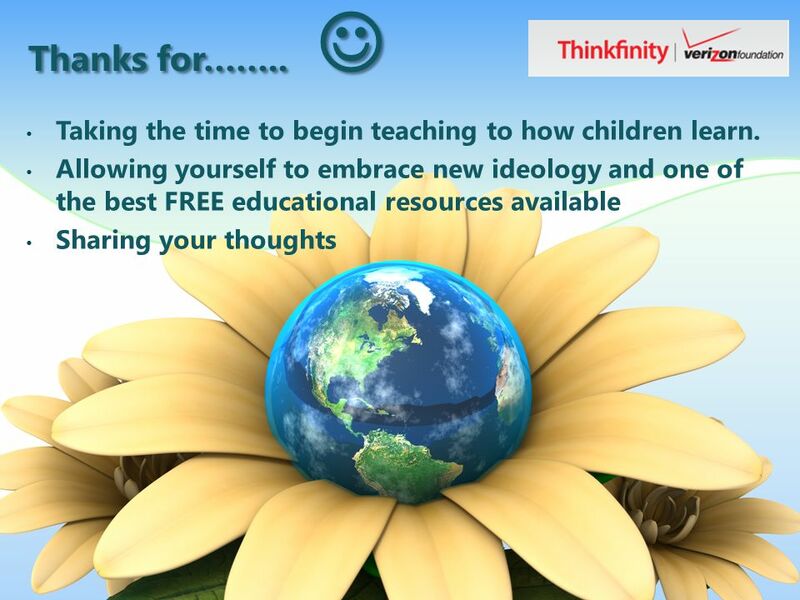 Thank you for your interest in Thinkfinity and your willingness to share your enthusiasm for its resources with others. This presentation and the accompanying.